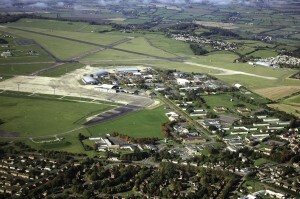 As you may have heard, RAF Lyneham closed at the end of 2012. 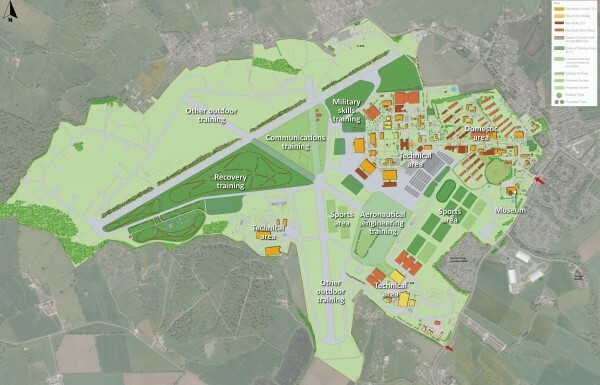 Though it’s not an operational airfield anymore, the site isn’t going to waste as there’s a major project underway to redevelop the site into a new military educational facility, called Defence College of Technical Training. It’s a £180 million scheme and I’m Steve Jeffries - the Project Manager. Construction began in February but there’s lots to be done to change a disused airfield into an educational establishment, especially when it’s this specialised. Currently, Defence Technical Training is provided at a number of different sites across the country, but the Defence Technical Training Change Programme will see all Defence Schools moving to Lyneham. This will allow training to be delivered with maximum efficiency and will save money in the long run. The new college focuses on several areas of technical expertise which are crucial to the military: aeronautical engineering; communications and information systems; and electrical and mechanical engineering. When it’s all finished, it will be a fantastic place to train our service personnel. 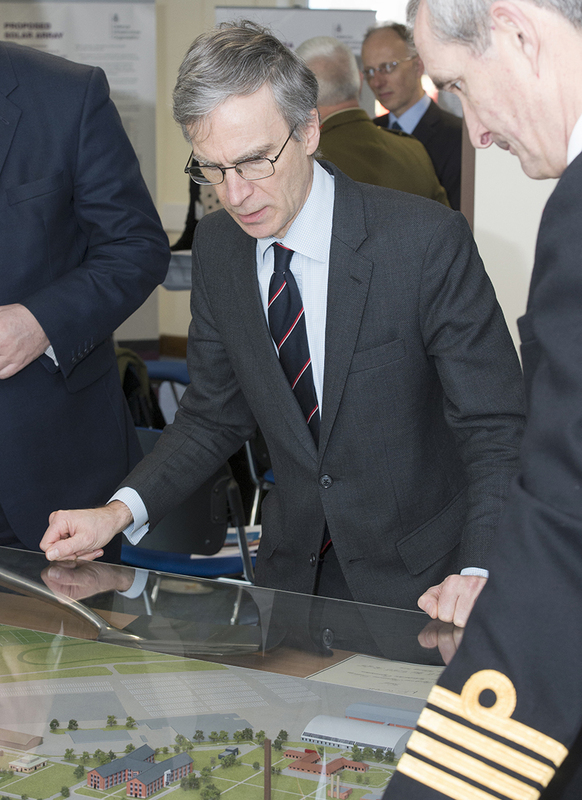 We’re all proud of the contribution we’re making to the Armed Forces – DIO’s purpose is to support the Armed Forces by providing what they need to live, work and train and this project ticks all three boxes in one development! As we’re altering an existing site, we can re-use many buildings already present, which is more sustainable than to having to build anew. The airfield area, with its runways, will be useful for outdoor training. There will be some new structures and facilities required, of course. 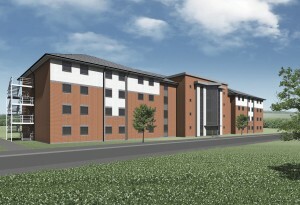 We’re building new living accommodation as well as sports and leisure facilities. The site will include several public areas. Fallen service personnel were repatriated through RAF Lyneham for many years and this will be recognised with a memorial and a Garden of Remembrance. There will also be a museum for the Royal Electrical and Mechanical Engineers. As the new college will need a lot of power, we are topping up local electricity supplies with ground-mounted solar panels on surplus ground to the north of the airfield. The land in this area is not needed for development, can’t be sold because of its location and is too poor for agriculture, so it’s the perfect site. We’ve held a public consultation and will apply for planning permission at the end of May. There’s an EU directive obliging the UK to obtain 15 per cent of its electricity from renewable sources by 2020. The government, therefore, has a scheme to generate solar power on its estate where possible. This scheme, if successful, will be a big part of that so it’s exciting for me and my team to be involved. If all goes to plan, the solar arrays will be in two different areas. The smaller site, about 18 hectares, at the College, should generate enough power to supply all the electricity needs for the establishment. The larger site, some 70 hectares of land north of the airfield, will go directly to the National Grid. This will help supply the UK’s power needs and generate income for the Ministry of Defence. Each kilowatt hour of electricity generated by solar power is roughly the same as would be generated by burning 77kg of coal, which would also release 180kg of Carbon Dioxide (CO²), so it’s far more environmentally friendly. It is thought that the Lyneham solar array could save 7,200 tonnes of CO² emissions per year. A lot of thought has gone into this. For example, we plan to leave about six metres between each row of solar panels so that the land can be managed for biodiversity reasons. Some people think solar panels are an eyesore, so we’ve worked hard on plans to screen the array from local people. The landscape and existing trees already hide it quite effectively but it can be seen from some viewpoints. As a result, we’re planning to plant more trees to block it from sight as much as possible. Wiltshire Council have been very positive and the local community has given it a cautious thumbs-up, so I’m hopeful that our planning application will be granted. Such a large area of solar panels is still unusual, so I’m sure the planning committee will look at it carefully. I believe it’s a good scheme with real benefits not only for the College, but for the MOD and the public as a whole. I am enquiring if i would be able to arrange access to the old RAF Lynham airfield / to visit / inspect the old Ordnance Survey triangulation pillar which lies within the perimeter fence on the west of the old runway. I am in the area all next week from 15 Feb if you could allow me a 15 minute visit anytime please ? As the site is a military base and is presently a building site, unfortunately public access is not possible. I am currently working up plans to relocate a London based military museum into Wiltshire for a new build being planned on MOD land (new build likely 2019/20 subject to planning). I am looking for suitable storage for military vehicles (hangers) for 4 to 5 years and wondered whether there are any opportunities at Lyneham, subject to leasing terms and leasing costs? Currently we are engaged with non-MOD commercial suppliers (mainly utilising ex-RAF aircraft hangers) in Wiltshire/Oxfordshire negotiating a 4 to 5 year lease. Having checked with colleagues at Lyneham, there is unfortunately no spare capacity available. Good luck finding something! Is there anything in the pipeline re an RAF Lyneham museum, I have a few artifacts that may be of interest?